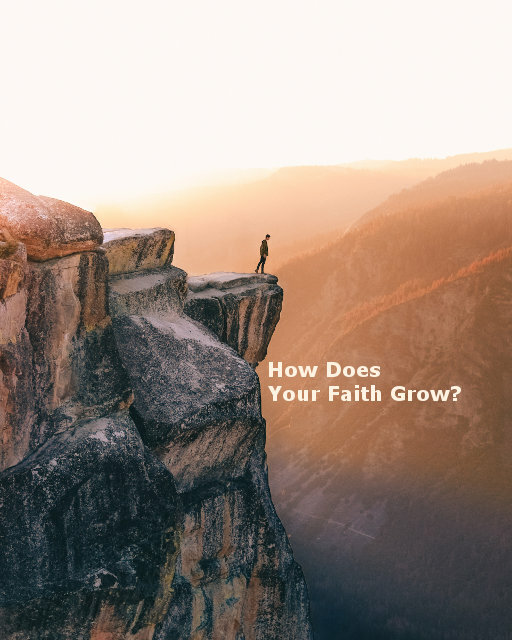 How Does Your Faith Grow? Hebrews 11: 1 Faith is the confidence that what we hope for will actually happen; it gives us assurance about things we cannot see. Isn’t this a great definition of faith? Imagine you and a close friend are standing on the edge of a great chasm like you might see in an Indiana Jones movie. There is no visible way across. But when you re-read the ancient map you read a clue that suggests that a walking bridge exists starting at the end of the path, only it is invisible! Do you trust the old map? What could be that important on the other end that would warrant the risk? Who steps out first, you or your friend? When you decide to take the first step, you are hoping that your foot will stop at the same level as your other foot and be able to support your weight. How much confidence would you have in that first step? After taking the first five steps and seeing that this invisible bridge does indeed exist, do you have a little more faith in the map and the bridge itself? Of course! How exciting it would be to stand on an invisible bridge in the middle of a chasm. Now you have to keep on going and the rest of the bridge is still invisible. Are you ready to run across at this point, or still go one step at a time? It still takes faith and each step should be made with more and more confidence, but you’ll never see the bridge. In this analogy, the bridge is like God, He wants us to trust totally on Him, leaning entirely on Him. Let’s take Asa, one of Judah’s kings, as an example. 12 So the Lord defeated the Ethiopians in the presence of Asa and the army of Judah, and the enemy fled. What I find fascinating is that king Asa knew better. He saw the Lord work in his life previously and witnessed a great miracle in defeating 1,000,000 Ethiopians, yet failed to continue trusting in God. This tells me that we need to be careful and persistent in knowing where our faith is placed. This is why it is imperative in getting to know God on a personal level deeper and deeper. I am convinced that the more we know Him, the more we’ll trust Him. Does this make sense to you? How well do you know Him? The map is like the Word of God. All believers can digest the Word for spiritual nutrition and this helps us to understand and know our Creator all the more. This is why the Bible, in and of itself, is never enough. Anyone can read the Bible, but real faith comes by putting into practice that which we’ve learned and act on it. For example, when the car breaks down, do we quickly whip out the credit card for the solution without acknowledging God and go to the nearest mechanic? Or do we pray about it and allow God to work in the situation? If we do not give God a chance to help us and rescue us as promised then how will we ever develop any kind of faith? Does this help you realize why it is so difficult for the rich to inherit the Kingdom of God? I love this verse, don’t you? First, it makes it clear that faith is required to please God and second, it gives us the basic requirements of that faith. This is just a starting point. This is where the spiritually new-born begin. But in order to truly please God, I believe He wants us to grow and develop this faith. Unfortunately, I believe there are too many self-proclaimed believers in this position right now. but I think far too many people that know the Truth are far more interested in working for their retirement on this earth than they are in working for eternal treasures. Matthew 6: 19 “Don’t store up treasures here on earth, where moths eat them and rust destroys them, and where thieves break in and steal. 20 Store your treasures in heaven, where moths and rust cannot destroy, and thieves do not break in and steal. 21 Wherever your treasure is, there the desires of your heart will also be. This is where the “rubber meets the road”. This makes it an individual sport. Not that we can’t work together to help build each other’s faith through fellowship, but the “day in and day out” practice of trusting in God requires the individual’s effort and the Christian believer cannot rely on their pastor for that. Getting back to Abraham, it is important to keep in mind that he was an ordinary man. There was nothing special about him other than being chosen by God. What we need to keep in mind is that he was prepared over time by being tested by God and for his obedience and this is the case for any one of the saints. Hebrews 11: 17 It was by faith that Abraham offered Isaac as a sacrifice when God was testing him. Abraham, who had received God’s promises, was ready to sacrifice his only son, Isaac, 18 even though God had told him, “Isaac is the son through whom your descendants will be counted.” 19 Abraham reasoned that if Isaac died, God was able to bring him back to life again. And in a sense, Abraham did receive his son back from the dead. Back to our analogy, to get across the bridge and develop a faith in it, we needed to have the map and read it. God is far more complex and the journey He intends for us is much more complicated than the bridge will ever be. This is why the Bible is essential for daily consumption. Are you complacent in your Christian walk? Are you ready for an adventure? It is perhaps one of the most common questions asked by humans throughout the ages. People are born, live their lives, then they die. It’s that dash, you know, on our tombstone, the one between 1968 and 20?? (At least for me) that we’re living out. Some people seem to love living, they just enjoy life. Then there are others, the majority, unfortunately, that can’t wait for the weekend so that they have some time off from their work. These people would like to enjoy life but they don’t know how. In most cases, their happiness is based on being able to have time off, a better job, or having a nicer home or car. What about you? Is your life satisfying? Are you enjoying your time here on planet Earth? Is your life worth living? 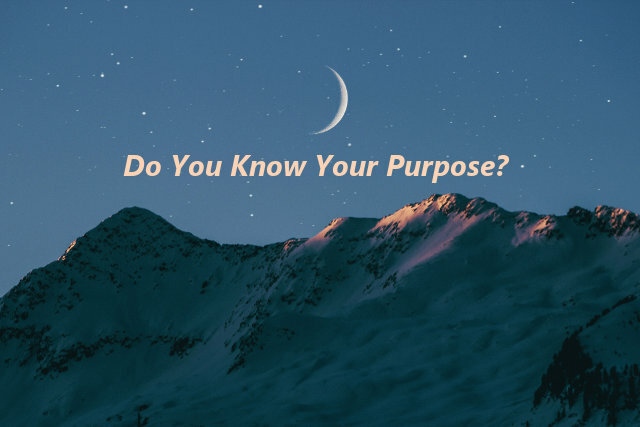 Do you have a clear purpose? Or does it seem meaningless? How does one go from living a meaningless life to one filled with purpose? Suppose you found a device. It’s a little electronic gadget that has some buttons and a little display. The only words on it are foreign and you can’t get it to turn on or do anything. Until you know what it was designed for, it has no obvious purpose. It seems to have been masterfully designed and looks really interesting, but it does nothing and seems meaningless. Have you ever observed the sky at night? Genesis 1: 14 Then God said, “Let lights appear in the sky to separate the day from the night. Let them mark off the seasons, days, and years. 15 Let these lights in the sky shine down on the earth.” And that is what happened. 16 God made two great lights—the larger one to govern the day, and the smaller one to govern the night. He also made the stars. 17 God set these lights in the sky to light the earth, 18 to govern the day and night, and to separate the light from the darkness. And God saw that it was good. Isn’t this cool? The Bible actually tells us what these heavenly bodies were made for. Though we see them day in and day out they continue to amaze us. The heavens happen to be God’s handiwork and it’s been working very well. Also, notice that they are multi-purpose, they separate day from night, one to govern the day, another to govern the night. The sun governs by affecting wind patterns and weather, while the moon governs by affecting the tides and I’m certain other undiscovered influences. All the heavenly bodies have the purpose of illumination and each is quite brilliant at that. I think it’s really cool that the moon has no light by itself, but only when we see the moon when it is reflecting the sun does it have light. Are there any true atheists? The people who deny God say that life and our universe happened all by chance. They see no purpose in any of it and think we’re just some cosmic accident. Romans 1: 18 But God shows his anger from heaven against all sinful, wicked people who suppress the truth by their wickedness. 19 They know the truth about God because he has made it obvious to them. 20 For ever since the world was created, people have seen the earth and sky. Through everything God made, they can clearly see his invisible qualities—his eternal power and divine nature. So they have no excuse for not knowing God. 21 Yes, they knew God, but they wouldn’t worship him as God or even give him thanks. And they began to think up foolish ideas of what God was like. As a result, their minds became dark and confused. 22 Claiming to be wise, they instead became utter fools. 23 And instead of worshiping the glorious, ever-living God, they worshiped idols made to look like mere people and birds and animals and reptiles. This is telling us that even atheists know God, but they’ve suppressed the truth. This proves the point that if you lie to yourself long enough you’ll end up believing it. Their minds are really dark and confused. Satan has a lot of people fooled these days, doesn’t he? He does anything he can to distract us from the Living God to the point of believing that there is no purpose and that life is meaningless. So what about humans? What is our purpose? How were we designed? Genesis 1: 27 So God created human beings in his own image. What sets us apart from every other living creature is that we were made in His image. This knowledge helps us a lot. This implies that, by design, we resemble God. He’s cast us to be God-like, it’s in our DNA. Romans 5: 12 When Adam sinned, sin entered the world. Adam’s sin brought death, so death spread to everyone, for everyone sinned. This makes it clear that humans are in need of reconciliation with God. How can this happen? Romans 5: 8 But God showed his great love for us by sending Christ to die for us while we were still sinners.9 And since we have been made right in God’s sight by the blood of Christ, he will certainly save us from God’s condemnation. 10 For since our friendship with God was restored by the death of his Son while we were still his enemies, we will certainly be saved through the life of his Son. 11 So now we can rejoice in our wonderful new relationship with God because our Lord Jesus Christ has made us friends of God. Only when our faith is in Christ do we truly live and are plugged into His power. Then we can live up to the purpose He’s created us for, which is to glorify Him. Again, how do we glorify Him? John 15: 8 When you produce much fruit, you are my true disciples. This brings great glory to my Father. Is there a sure-footed way for us to bear fruit in every season? You betcha! This makes complete sense when you think about it. The Bible is God’s instruction manual for us, it really teaches us how to live and how to love God. We are so wonderfully made that unlike the device mentioned above, God’s designed us so that He made us aware of our sinful nature and has given us free will and the ability to plug ourselves into His power. This purpose of living for God yields eternal life and when this sinks into our hearts it brings true joy. The more we read His Word, the more we know how to please Him and give Him glory. After a while, our lives become simpler. We live each day making a concerted, deliberate effort with the simple goal of pleasing Him and giving Him the glory. Will you live for His glory? There is no way to love someone without knowing them. He already loves us as He’s always known us. By coming to Him in faith we are simply responding to His love. He is the initiator. 2 Chronicles 15: 1 Then the Spirit of God came upon Azariah son of Oded, 2 and he went out to meet King Asa as he was returning from the battle. “Listen to me, Asa!” he shouted. “Listen, all you people of Judah and Benjamin! The Lord will stay with you as long as you stay with him! Whenever you seek him, you will find him. But if you abandon him, he will abandon you. 3 For a long time Israel was without the true God, without a priest to teach them, and without the Law to instruct them. 4 But whenever they were in trouble and turned to the Lord, the God of Israel, and sought him out, they found him. Notice that He doesn’t seek after us. To get our attention, He can do any number of things. But for us to really know Him, we have to do the seeking and this takes time and effort as do all valued relationships. The more I know God personally, the more I love Him. The more I love Him, the greater my faith in Him becomes. Our faith and love for Him go hand in hand. Mark 10: 13 One day some parents brought their children to Jesus so he could touch and bless them. But the disciples scolded the parents for bothering him. 14 When Jesus saw what was happening, he was angry with his disciples. He said to them, “Let the children come to me. Don’t stop them! For the Kingdom of God belongs to those who are like these children. 15 I tell you the truth, anyone who doesn’t receive the Kingdom of God like a child will never enter it.” 16 Then he took the children in his arms and placed his hands on their heads and blessed them. Faith in God does not happen overnight. If we are truly “born again” (of the Spirit), we all start off as babes in Christ and need to grow and develop into young men and women of God. Keep in mind that Abraham walked with God at least 38 years before he was asked to sacrifice his only (legitimate) son. David spent many years with God as a young adult working as a shepherd and was able to develop a great faith in God after experiencing God helping him kill lions and bears while watching the flocks. Without a relationship with the Lord, which God requires (love the Lord your God), we will never grow in faith. Yes, faith comes first which introduces us to God in the first place but in order to grow and have deep roots we must love Him and learn to love Him more and more. Ephesians 3: 14 When I think of all this, I fall to my knees and pray to the Father, 15 the Creator of everything in heaven and on earth. 16 I pray that from his glorious, unlimited resources he will empower you with inner strength through his Spirit. 17 Then Christ will make his home in your hearts as you trust in him. Your roots will grow down into God’s love and keep you strong. 18 And may you have the power to understand, as all God’s people should, how wide, how long, how high, and how deep his love is. 19 May you experience the love of Christ, though it is too great to understand fully. Then you will be made complete with all the fullness of life and power that comes from God. Out of this relationship, obedience should come naturally. John 14: 23 Jesus replied, “All who love me will do what I say. My Father will love them, and we will come and make our home with each of them. So how could we ever obey Him if we fail to hear His voice because we don’t know Him? It becomes our heart’s desire to obey Him when we love Him. What does obedience mean to you on a day to day basis? Is it simply doing good things and making sure we don’t do wrong? I can tell you most assuredly that God desires much more than simply staying away from evil and doing good works. He wants your heart, completely. When you know Him and trust Him enough to give Him your whole heart, it will be your greatest desire to do what He want’s you to do. This does not mean that you’ll never be without sin, please don’t have that expectation. What can be expected, however, is a transformed heart and that, my friends, is the greatest! 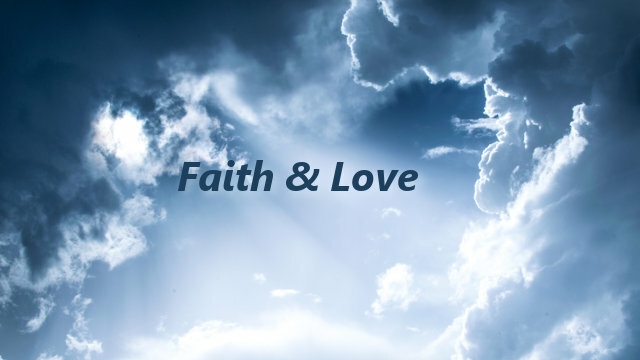 1 Corinthians 13: 13 Three things will last forever—faith, hope, and love—and the greatest of these is love. If you do not know how to seek Him or how to develop this relationship, feel free to reply to this message and I’d be happy to discuss it with you. Will you take the time to know Him? Is There A Better Way To Pray? Today I’d like to examine one of the greatest examples of prayer that we have in all of Scripture, and it’s very simple. It is the prayer that Jesus prayed while in the garden of Gethsemane just after the last supper. To me, it is the perfect example of a surrendered prayer life. It is honest and He yielded to His Father’s will. John 17: 1 After saying all these things, Jesus looked up to heaven and said, “Father, the hour has come. Glorify your Son so he can give glory back to you. Jesus knew what was coming next. It was the event that finalized His work here on earth, the crucifixion. Most of us know that Jesus is God in the flesh, but in these passages, we also see that He was also human. Isn’t this interesting? The overwhelming events ahead must have been unbearable to think about. Now it gets even more interesting. Although He knows that He is to die and offer the atoning sacrifice for all mankind, He prays that the suffering be taken away from Him. Hebrews 7: 27 Unlike those other high priests, he does not need to offer sacrifices every day. They did this for their own sins first and then for the sins of the people. But Jesus did this once for all when he offered himself as the sacrifice for the people’s sins. To me, when I began to understand that Jesus asked not to go through with it, it gave me much joy, mostly because I could relate to Jesus. Although He was perfect, He had this human element that we all share. So the next time we pray “I don’t want to go through with this.”, we can look back on this verse and feel OK, we’re in good company. He was faced with circumstances that He did not want to face. This is just being honest and transparent before His Father. Dare I say that this is the weakest moment of his ministry? But the prayer didn’t end there. It was more important to Him to have His Father’s will done than His own. This was yielding to His Father’s will. So like any child, He kept asking. (Practicing what He’s preached) He might’ve wanted to ask more, but time had run out, the “lynch mob” had arrived, led by Judas Iscariot (evil villain). Luke 22: 41 He walked away, about a stone’s throw, and knelt down and prayed, 42 “Father, if you are willing, please take this cup of suffering away from me. Yet I want your will to be done, not mine.” 43 Then an angel from heaven appeared and strengthened him. 44He prayed more fervently, and he was in such agony of spirit that his sweat fell to the ground like great drops of blood. Notice also in verse 44 we read that He was in such agony that we sweat drops of blood! This is why the “Thy will be done” is so important. Jesus knew that if He would not have prayed for the Father’s will, and asked for protection, it would not have pleased His Father and Jesus would have none of that. John 5: 19 So Jesus explained, “I tell you the truth, the Son can do nothing by himself. He does only what he sees the Father doing. Whatever the Father does, the Son also does. Just like anything, “Thy will be done” comes off the tongue real easy, but it is not easy for me to pray it like I mean it. A hard-working, God-fearing man, Tom, makes a mistake at the office. Not just any mistake, but a doozy. He loses a huge account for the company he works for because of this mistake. He knows that the company will review the situation and hold a disciplinary meeting that could result in the loss of his job. Tom is quite concerned at this point and is surprised that he’d even commit a mistake like that to begin with. 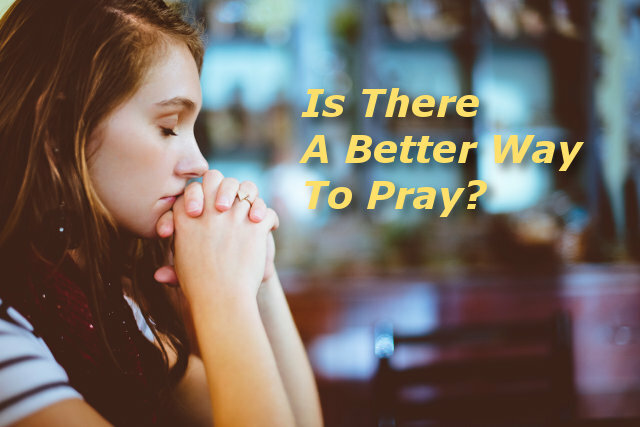 So he prays “Lord, please help me keep my job, the idea of being fired is unbearable.” The Lord, being the generous God that He is, has the company find favor with Tom and they decide to keep him. Praise God, that is wonderful! But what if God had other plans in mind? Here’s an alternative ending. Suppose Tom had prayed this prayer “Lord, anything is possible for you, can you help me keep my job? Yet I want your will to be done, not mine.” The next day Tom gets fired. He’s gone. He gets the boot. He’s sacked. He’s absolutely miserable. The next day and in the days to come, he has more time to read his Bible, spend time with his wife, Barb, and he starts to see things from a different perspective. “I’m not so tense, he says to himself”. Weeks go by and he actually grows closer to God and to Barb. Yes, there is a financial strain and some humiliation (which is good), but his relationships are better off. He’s already better off, God already worked out a plan that is better for Tom. Even if Tom gets a job that doesn’t pay as well perhaps he won’t have the tension or the long hours, he’s found that it is more valuable to him to spend more time with God and with his wife. Maybe God has a better job in mind that will pay him more and have fewer hours. You can see where I’m going with this and this can play out in many ways. Most of the time it is difficult to know the will of God, but I think we need to give Him a chance in our lives just to show how great He is rather than keeping control over it ourselves. We serve a God who knows everything about our future. Of course, Tom wants to keep his job, that’s all he knows and few people like the “unknown”. Perhaps it is God’s will for him to keep his job. God gave him the job and he’s got great friends there. If it’s God’s will to keep the job and he keeps it, then Tom will give God all the praise and thank God from the rooftops for His mercy and grace. Suppose God has other plans. How is Tom to know what’s best for him? Does he know the future and can he figure out where he should be to maximize his potential and glorify God? Remember Job? God not only knew what Job would have to endure but gave Satan permission to humble him, stripping everything away from him. Job had no idea why it happened and suffered greatly while experiencing tremendous loss. Little did he know at the time that God had it all planned out. At the end of the story, he was awarded twice what was lost and became a better man of God than before. What an amazing God! 16 How foolish can you be? “The potter who made me is stupid”? Will you give God the chance to do what He wants with you?